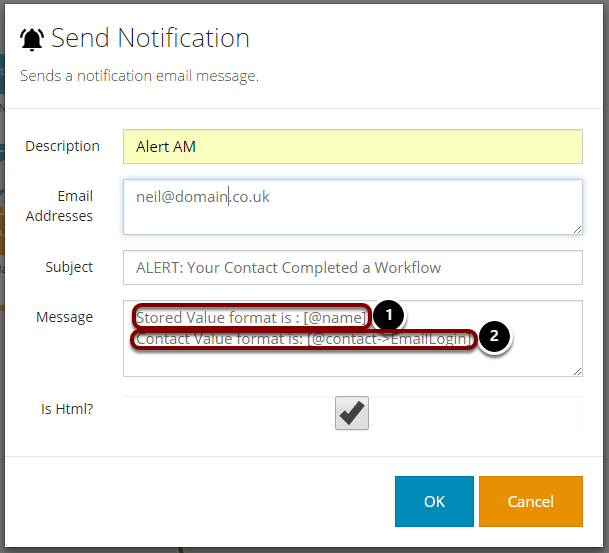 The Send Notification stage allows you to trigger a notification email to any email address at the point that a member enters the stage. This could be to one or many static email addresses, or may be the result of a stored value. This could include the member, an Account Manager or Sales Rep. The email could be constructed as plain text or HTML, and is able to include merge data from contact records and/or stored values. 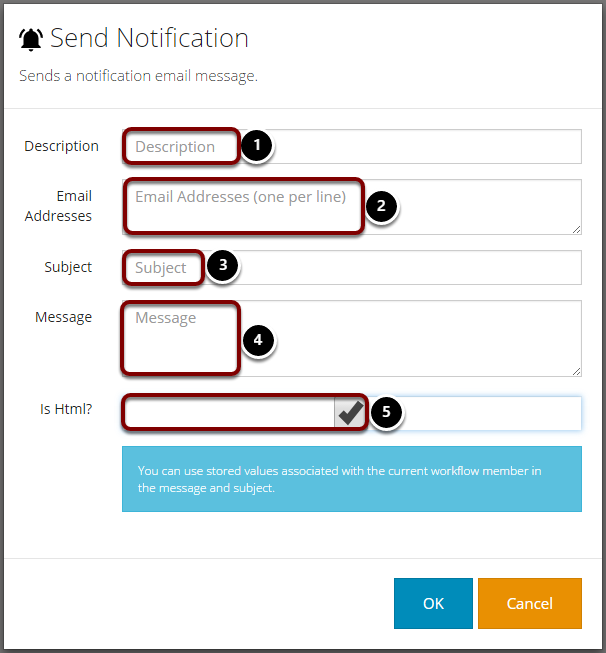 Set the email address to send the alert to (one email address per line). Type the message to be sent. This can include merge data (covered in the next section). Stored Values and Contact Data can be merged into your content. Merge data comes in two formats; Stored Values & Contact Values. Stored Values can be used within your message by using [@MyStoredValueName] where 'MyStoredValueName' is the name of your Stored Value. Contact Values can be used within your message by using [@contact->ContactFieldName] where 'ContactFieldName' is the name of the CommuniGator contact field.